That’s why God in her wisdom invented Grandpas. 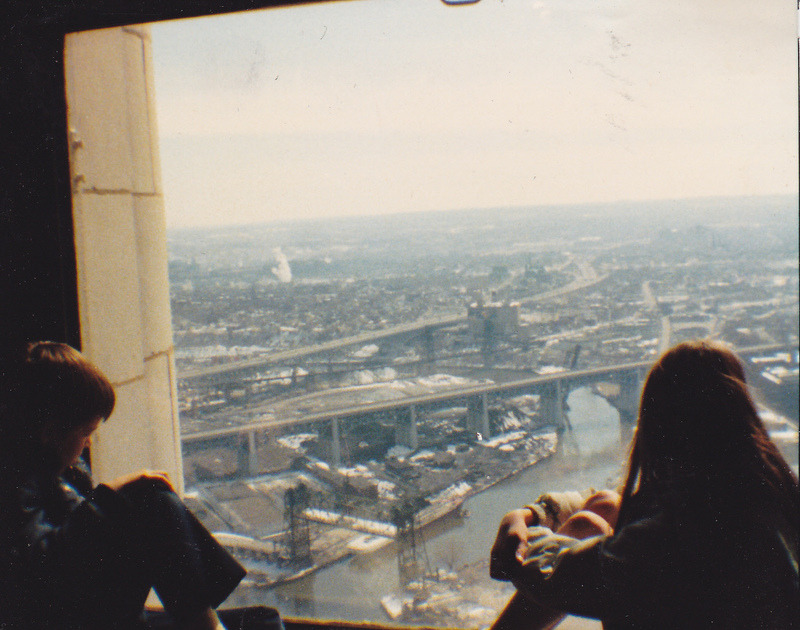 They’ll take you places that you’d never see with your parents, who love you dearly but would never think to take you to the observation deck of the Terminal Tower let alone to Mass at St. John’s Cathedral. He taught them both the comfort of the church and the blessings of a quiet, and steady faithfulness. You always knew you were safe in his presence. My twins were very lucky getting a Grandpa like my Dad. He just loved them and enjoyed them so. And I like to think even now that he’s gone that every now and then he peeks through that veil and is just so pleased and proud of those two amazing and kind souls. I know I am. This entry was posted in cleveland memories, energy, environment, Family Stories..., humor, life, Real Life Adventures..., tutor. Bookmark the permalink. Don’t hesitate. Call him now, tell him how you love him. He needs to hear it just as much as you need to tell him. you’re a pretty thoughtful girl. Im losing my own mom Sheila, and I think about these things that you mention….can love see beyond the veil?….it just has to! Without a doubt, there’s a veil and they can see through it. With all the crazy things one see’s and endures in this life, definitely the only thing that remains immortal is our love. For our parents our children our lovers our friends. Its the only thing that’s ever really mattered anyway. And you’ve mastered my girl. By way of that wonderful Mom I suppose. I just know if she’s partly responsible for the woman you’ve become then she also must be phenonemal. I love you Pat and it really really will be ok. It’s just the toughest time of your life. But its true that old saying “this too shall pass” the bad, the good whatever your enduring right now, will pass. And you will heal and your Mom will also. Whether it be here or there where she’s without pain or problems. She will pass through this struggle. We all do. I am so sorry for you to have to go through this. I cannot tell you how much your kind words helped me right now….have had a couple rough days…but do you know what she said to me? I asked her how she was feeling yesterday after 2 bad days….she said “better cause I talked to Saint Jude” I asked her what he said…she said ” He said he’d think about it.” HA! She does make us laff. Sounds like between St. Jude and your Mom everythings being worked out. What an amazing soul. See…this being ok in the end, it is genetic. We tend to handle births the same way… these comings and goings, whether we are totally surprised or have expected it for years, these comings and goings are always handled with lots of love and care, it’s just your Mom’s way and now yours too. That Mom of yours, such an amazing woman. Needing to know you are going to be OK. I think that’s the part that just goes on and on, that love and protection for your children. That for always. I’m praying for you and her. But I know your already totally blessed having each other. You are the best Sheila…keep the Katebook wisdome coming. I am your biggest fan I betcha! Grandpa really was a lot of fun. I loved being with him, and I loved that in one way or another, he always made time for each of us grandkids – even though there were SO MANY of us! And each and every one of you guys were a world unto your own. He delighted in every one of you.